the software and technology with applying the computer engineering for phased office work in the State language are implemented. To create opportunities and conditions on mastering the culture of speaking in the State language, as well as for the awakening of feelings of patriotism, strengthening inter-ethnic relations the various activities are held in the enterprise each year devoted to the Day of State language, Nooruz, Kalpak Day and etc. 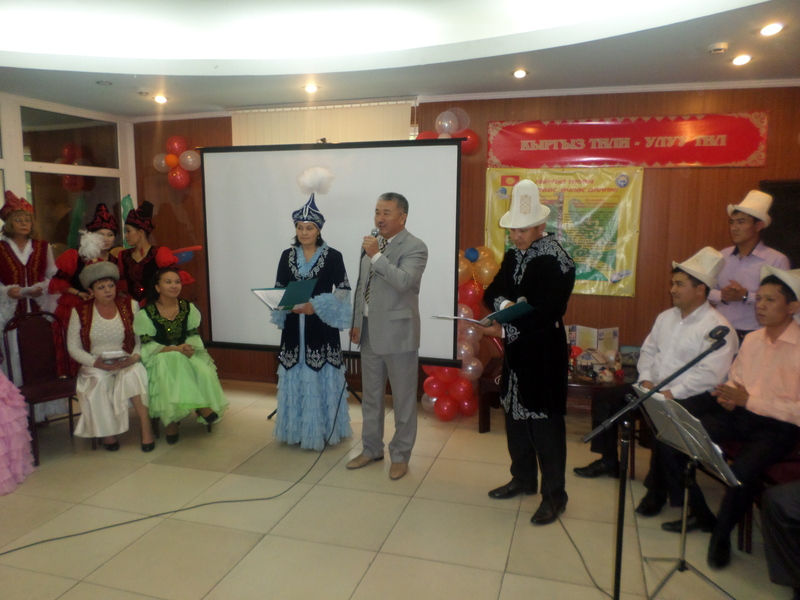 To the day of the 25th anniversary of implementation the Law of the Kyrgyz Republic “About the State language of the Kyrgyz Republic” the competition for “the best stand of the Kyrgyz language” was organized among the departments of the enterprise. All departments have actively participated in this event. The results of the competition were announced on the day of SE "Kyrgyzaeronavigatsia" on the 18th of October with the participation of the Deputy Minister of Transport and Communication Myrzakanov Ernis Tursunkadyrovich. The winners were awarded with cash prizes, Diplomas and Certificates. On the basis of the contract between the employees of the SE "KAN" and teachers of the Training-Information Center under the National Commission on the State language under the President of the Kyrgyz Republic the training course was organized for employees on keeping of the office work in the State language. According to the results of the testing the certificates of Training-Information Center were awarded.